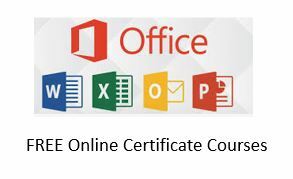 Here comes a nine (9) hours long Microsoft Office 365 online training course for FREE. Microsoft Word, Excel, Powerpoint, and Outlook have become a standard in the IP Legal profession. Take the courses yourself and use them for creating a common training standard in your firm. I am doing that in my own firm. Now, this is the big advantage of LinkedIn Learning. It will give you accredited degrees. You will receive a good education — a great education — and you can get it without spending anything except an internet connection and – maybe – a laserjet printer. After completing a course, LinkedIn will even give you a formal certificate that you can print out and add to your other educational certificates. In addition to that, you can display completed courses on your own LinkedIn profile so that everyone can see your personal growth and your achievements. This feature can be used for improving your employees´ professional capabilities. You can encourage them to invest two hours per week into their personal growth, by taking LinkedIn Learning courses, and you can monitor that by checking their LinkedIn profile for rewarding them with a paycheck bonus. Take the following course. It is about 02:36 hours long. I have unlocked this course for you so that you can take it for free, but you must be logged into LinkedIn to view it. Just click this link here to watch the FREE course. And don´t click on the video below, you can then only watch the single video but the rest of the course will appear to be locked if you do that. Take the following course. It is about 02:17 hours long. Take the following course. It is about 2 hours long.